The First Squad is investigating an Assault involving a shooting that occurred on Monday, June 13, 2016 at 11:57 p.m. in Baldwin. A male black subject was seen entering a black sedan and fleeing the scene of the shooting. Detectives request anyone with information to call 800-244-TIPS. Baldwin, NY - June 14, 2016 - The First Squad is investigating an Assault involving a shooting that occurred on Monday, June 13, 2016 at 11:57 p.m. in Baldwin. According to detectives, First Precinct officers responded to a 911 call in the parking lot located at 1289 Grand Avenue for an aided case. Upon their arrival they discovered a male victim, 20, had suffered a gunshot wound to the chest. A male black subject was seen entering a black sedan and fleeing in an unknown direction. The victim was transported to a local hospital and is listed in critical condition. The investigation is ongoing. 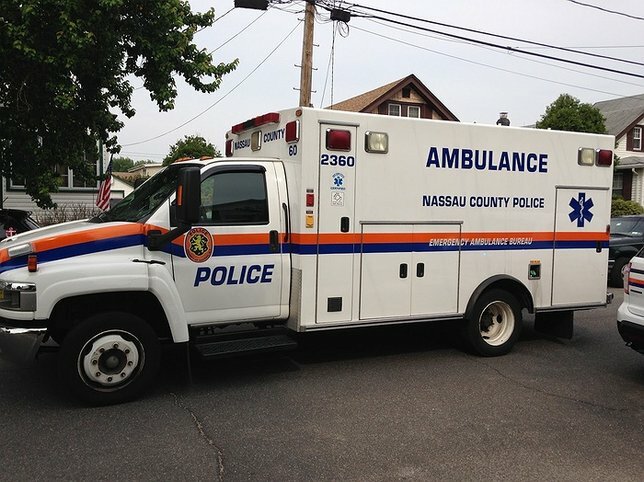 Subject: LongIsland.com - Your Name sent you Article details of "Man Shot in Chest at Baldwin Parking Lot, Investigation Ongoing"